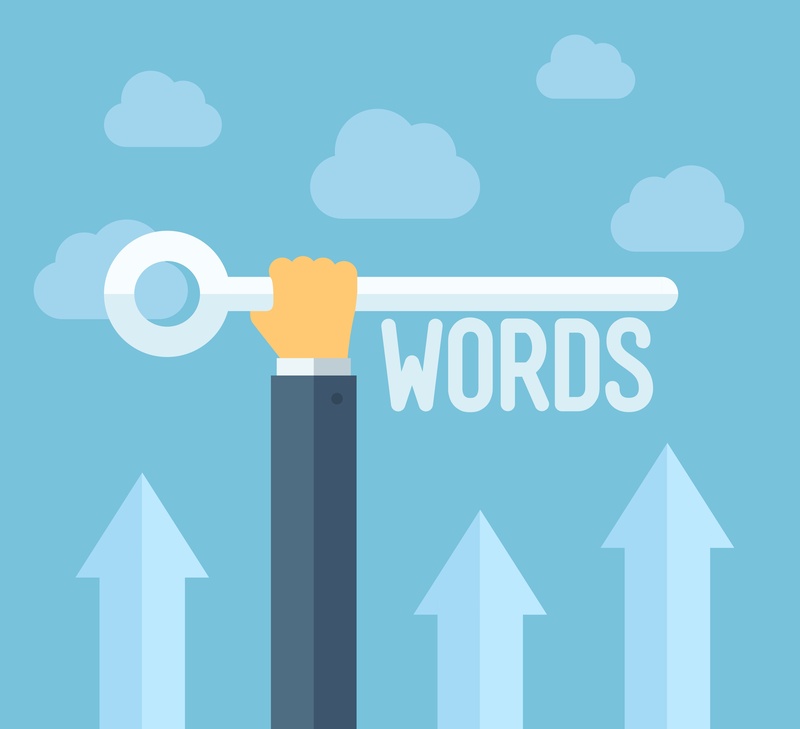 Keywords are the basic building blocks of any content marketing strategy. If you’re looking to get found online by prospective customers, you should know which keywords will help you create new content to drive traffic to your website. In a sense, keywords are very simple: they’re the words and phrases people type into search engines when they’re looking to find information online. Some of their search queries are short, succinct, and generalized, and others can be fairly long and focused. A search engine’s job is to decide, out of all the content on the web, which website pages are the best fit for the searcher. If a searcher is satisfied with the results, they’ll click on a link to read the content. If they’re not satisfied with the results, they’ll go back to the search bar and rephrase their keyword search until they find results that match what they’re really looking for. That’s not to say that keywords can’t get incredibly complicated. 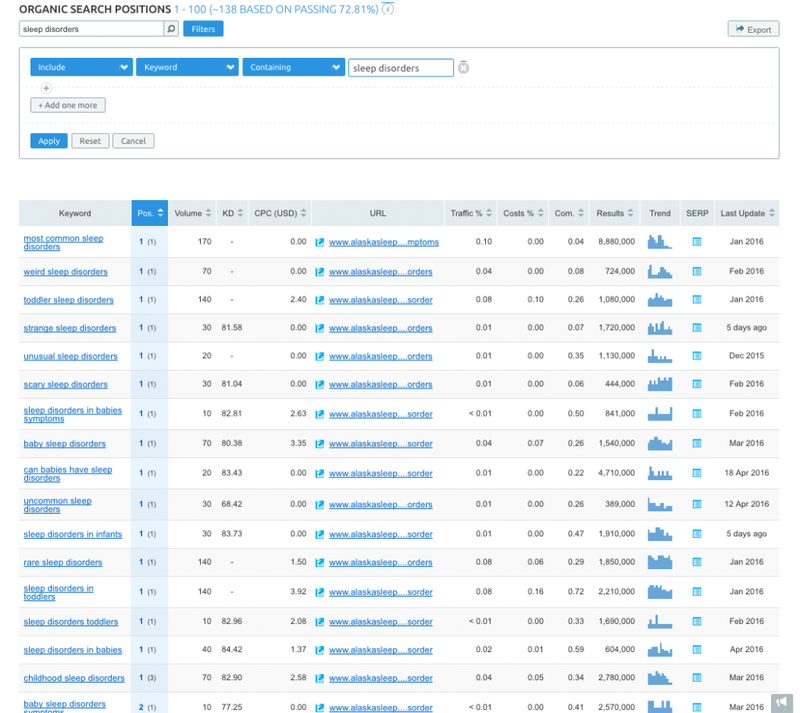 Tools like SEMrush, Keyword Tool.io, Ahrefs, Market Samurai, Long Tail Pro, and list of others can be very helpful for discovering keywords to target and to learn a ton of metrics about those keywords. These tools are awesome, and I even use some of them myself regularly. But that’s also because I (and the companies I work for/have worked for) have already produced hundreds of pieces of content that perform well. For the most part, I use these tools to discover keywords I haven’t gone after yet, to check how I’m currently performing for keywords I’ve written about, and to help clients discover keywords they can use when I’m still learning about their industry and their clients. 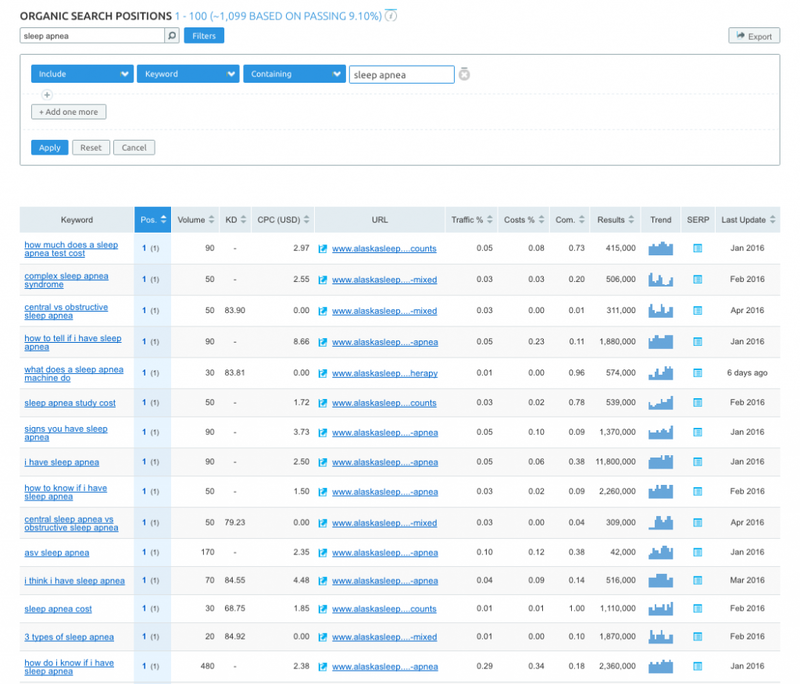 Do You Need a Keyword Tool When You First Begin Content Marketing? One of the problems I’ve been experiencing lately is with companies getting overly concerned with keywords and keyword tools before they have even produced any content. They want to know if they need to purchase tools, they want to know how to use the tools, and they want to know how to best review and interpret the metrics found within the tools. These are all great questions and reasonable concerns, but I often see content marketing efforts get stunted as these folks spend more energy concerned with the keywords that will get them traffic, rather than focusing on creating quality content. What many of these companies may not realize is that they already have a ton of keywords they can begin targeting without subscribing to a tool. It’s not that keyword tools are overrated. It’s that people underestimate how many keywords they can discover for themselves, before needing a keyword tool as a backup. I was originally going to write an article about the best keyword tools found online. People are always asking me which keyword tool is the best (overall or for the cost), and what are the main differences between them all. I had a list of about 15 keyword tools that I was going to sign up for free trials to really get to the bottom of which was legitimately the best. But after some thought, I realized these people already had the best keyword tool possible. One that’s free, easily accessible, and has infinite possibilities and combinations. You want to know what the best keyword research tool really is? It’s you. It’s your employees. It’s the clients who call, email, text, stop you on the street, or walk-in to your place of business and start asking questions. Everything they’ve ever asked is a keyword in itself. And if you’re familiar with The IMPACT, you know that we preach They Ask, You Answer as our core philosophy for writing content. They Ask is customers showing you their keywords. You Answer is you targeting those keywords in a piece of content. Okay, so every question you get asked is a keyword. Sounds simple enough. But how do you turn those questions into actual keyword research? How can you narrow the focus? One of the first things you need to know is the difference between root keyword/short-tail keyword phrases and long-tail keyword phrases/questions. In short, root keywords are that thing you do. That service you perform. That product you sell. That industry you serve. Unfortunately, unless you’re in a super niche market, you will have a really hard time ranking for the root keyword, as others probably already rank for it and knocking them off the top spot will be an uphill battle. Instead of going after these short-tail keywords, you’ll have to broaden your keyword terms in order narrow your focus. At Alaska Sleep Clinic, our main service is diagnosing and treating sleep disorders, most notably sleep apnea. We use home sleep studies and in-lab sleep studies to monitor patients during sleep and to measure the presence and severity of sleep apnea. We also prescribe and sell durable medical equipment designed to treat sleep apnea. Equipment includes CPAP devices, CPAP masks, and other accessories. Patients with sleep apnea often don’t recognize they have a sleep disorder and therefore don’t understand the consequences. Patients are often overweight/obese middle-aged men (although many women also have sleep apnea). They experience symptoms and side effects associated with sleep apnea, but may not realize their nocturnal breathing problems are the primary cause. They snore loudly, stop breathing periodically in their sleep, they’re chronically tired, and likely have high blood pressure/hypertension. You may not realize it, but these descriptions are rich in keywords. Now, go through your descriptions and highlight or underline the most important words/groups of words. At Alaska Sleep Clinic, our main service is diagnosing and treating sleep disorders; most notably sleep apnea. We use home sleep studies and in-lab sleep studies (polysomnograms) to monitor patients during sleep and to measure the presence and severity of sleep apnea. Patients with sleep apnea often don’t recognize they have a sleep disorder and therefore don’t understand the consequences. Patients are often overweight to obese middle-aged men, although many women also have sleep apnea. They experience symptoms and side effects, but may not realize their breathing problems are the primary cause. They snore loudly, stop breathing periodically in their sleep, they’re chronically tired, and likely have high blood pressure/hypertension. So, from a quick description of the business, we can quickly find multiple sets of keywords by identifying those things we do and the people we do them for. I could easily pick more keywords from this list, and you’re probably looking through my description and seeing some that I neglected to underline or add to my bulleted lists (which is awesome, because that means you got the wheels turning). I chose these nine keywords because they are the root keywords that the majority of the articles I wrote targeted. But again, nobody has ever walked into our clinic or called on the phone and simply said, “sleep apnea.” That’s not how people communicate in real life. And you shouldn’t think that’s how people communicate on the web either. Rather, people enter more specific searches about sleep apnea online, just as they would ask specific questions if they came into the clinic. And here’s a little spoiler for those of you that might be wondering: I’ve written a few dozen articles on the topic of sleep apnea alone. I rank for ­over 1,000 long-tail keyword phrase combinations that have sleep apnea in it (and those are just the ones that keyword tools track as they have more than 10 monthly searches on average). But guess what, I don’t rank for sleep apnea in its shortest form at all. I’m not on the first page. Nor the second. I’m not even on the tenth. But I still get tons of traffic based on long-tail keyword phrases containing sleep apnea; just not sleep apnea alone. The exact same thing can be said for sleep disorders. I don’t rank for the root keyword sleep disorders at all, even though you could say nearly everything I ever wrote for Alaska Sleep Clinic was about sleep disorders. And this thread is pretty common with everything on my list of nine of the most important keywords, with two notable exceptions: I rank on the first page for tired and sleep studies. Sometimes you’ll hit that search engine lottery and wind up on the first page for a root keyword, but if you don’t, that’s fine. There’s a myriad of combinations you can use around it. Even with my article that ranks for tired, I started with a very long long-tail keyword phrase: why am I so tired all the time? Speaking of tired, as you’ll notice, it’s not one of the services we provide. We don’t sell tired. We don’t work in the industry of tired (well, not exactly). But it’s easily one of the most important of our keywords. Simply because it’s the problem someone experiences that gets them to begin their search in the first place. Many of these people may have never heard of sleep apnea. All they know is the problem they’re experiencing, and they want to put a name to it. It’s the most basic question anybody who has been losing sleep for more than a couple of nights is going to ask: Why am I so tired all the time? And that’s really the heart of all of your keyword research: listening to the questions your past and future clients ask you all the time, or stepping into their shoes for a little bit and thinking about the problems they’re experiencing and considering the various ways they would articulate that problem if they were looking for a solution. But for the sake of argument, let’s say you’re still not sure what your customers might be asking. Maybe you just bought/inherited a business in a field you know very little about. Or maybe you need to see some concrete digital evidence. You can still do keyword research without paying for a tool or even using one's free version. All you need is Google and its awesome autocomplete feature. Google’s autocomplete can be a content marketer’s best friend. There are over 4 Billion searches on Google everyday, so it’s not any stretch of the imagination to consider some of those searches might relate to that thing you do. If you’ve ever started typing a query into Google, and paused for a split second, you’ve seen what autocomplete can do. Sometimes it will guess exactly what you were going to type, and other times its predictions might seem absurd. Seriously, just type something random like do cats and allow hilarity to ensue. Alright fine, I’ll do it for you. That’s because Google’s autocomplete is based on an algorithm that reflects what others have searched before using some of the same words. One of the first things you need to do to see what questions people are asking about that thing you do, is type that thing you do into Google. Here’s what happens when I type sleep apnea. We can see that the most common words that come after sleep apnea are devices, test, machine, and mask. Now we have 5 keyword phrases from one. To get more keywords, we will need to get a little creative and consider the beginnings of most questions about sleep apnea. For this we’ll consider some of the ways people frame questions. Five beginnings of questions just turned into twenty-five long-tail keyword phrases. And we also now have a better understanding of what people want to know about sleep apnea, which can lead to many, many more search combinations. And if you noticed, Google didn't just autocomplete the ends of the sentences, it often autocompletes the middle of the sentence as well, giving you a more complete picture of some of the searches you can find in this manner. Of course, we can always get crazy and take this thing far down the rabbit hole discovering hundreds, if not thousands, of possible combinations people might type about sleep apnea based on how other people have already done it. And that’s just with one service. We can rinse and repeat with all of our other services, products, industries, and problems people have. So yeah, keyword tools are great. I am in no way discouraging you from buying one or using a free version. You can learn so much from a keyword tool. And like I said, I use them quite a bit myself these days. But I don’t really need them. I just really dig all the analytics, and find them fascinating. And the truth is, most of my best performing articles to date stem from a time when I didn’t even know those tools existed and simply put myself in the customer’s shoes and considered what they wanted to know, and what combination of words they’d use to find the answers. They Ask, You Answer is the best keyword tool you have in your toolbox. Try it out. The results will amaze you.